In this article, two of the site administrators explain their current reasons for why they think Woodrow Wilson is an ISTJ. 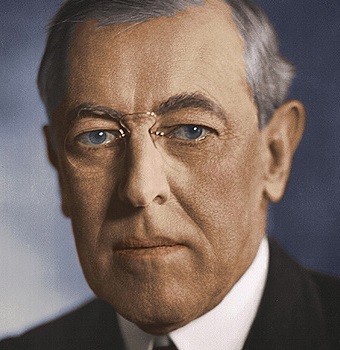 Of the three articles on Woodrow Wilson’s type provided by this site, only the present article can be taken to represent the official views and type assessments of the site. As these quotes show, Wilson is surrounded by a tradition of scholarship that tends to imbue him with every conceivable virtue. Conversely, a subset of scholars has taken stock of this trend and has started to produce their own instances of counter-history, which predictably construe Wilson as nothing less than the Antichrist himself. To steer clear of both these pitfalls, we shall therefore go for a “nuts and bolts”-style presentation where we seek to remain as close to Wilson’s own words as possible and attempt to keep our generalizations and references to what historians think to a minimum. Since this piece was written as a counter-piece to Shapiro’s case for Wilson as an INTJ, we thought it would be fitting to let Shapiro suggest the text for us to use as the basis of our argument. In Shapiro’s view, Wilson’s essay, On the Writing of History, represents a particular strong example of Wilson’s alleged Ni dominance. Hence this article will concern itself with what we might learn of Wilson’s type on the basis of that essay. On the Writing of History first appeared in 1895, when Wilson was about 40 years old. In this essay, Wilson examines the perennial dispute over whether history should be a science or an art and concludes that there need not be a conflict between the two. If one interprets and analyzes the facts, rather than blindly passing them on to the reader, then substance and style can happily coexist. In other words, Wilson criticizes the new ‘mechanical’ historians who aspire to be scientific. In Wilson’s view, in order to write good history it is not enough to merely present the naked facts of past events to the reader. The writing of history as a “monumental index and table of the world’s events” is not the kind of history that Wilson advocates. In fact, he opposes it. Now, if we adopt a Myers-Briggsian approach to Jungian typology, it would seem that Wilson is revealing an Intuitive mindset here: As that thinking goes, the people who want the facts, with accuracy and “just as they are,” are S types, while the people who think behind the facts, or want “something more,” are N types. However, there are several problems with this approach: First, in terms of the textbook definitions of the functions, it might be argued that Wilson is first and foremost opposing, not Si or Se, but Te-style history in this quote. Second, as we all know, Jungian functions (unlike the “four dimension”-approach of the MBTI instrument) pertain to how information is organized and structured in the psyche. It is a theory about psychic processes, not psychic conclusions – an S type could arrive at an “N-style” conclusion and vice versa. Third, since typology is a psychological discipline, we cannot expect people to express the workings of the functions directly. Rather, we have to develop a phenomenological representation of what the other person’s cognition is like. For example, in Shapiro’s piece, analyzing Wilson’s own words, Shapiro writes: “Wilson does not speak of the subjective distortion that psychologically implies Ni,” as if we should expect to find Ni types speaking directly of the mechanics of Ni in this manner. However, this is exactly what we should not expect: Oftentimes, people do not know that their cognition is partial to their function biases, and they usually do not know when they are being subjective unless they have studied Jungian typology. In fact, one of the paradoxes of Introverted Intuition is that while in objective terms, their synthesis is a subjective distortion of events along visionary lines, INJs often do not know that they are being subjective at all. On the contrary, INJs will oftentimes think that they have seen the essence or essential truth of a thing, when in practice they are conceiving very one-sidedly in favor of a subjective, visionary synthesis (Psychological Types §662). Just like we cannot expect INJs to profess that the right way to go about perception is to craft a subjective distortion along visionary lines, we also cannot expect ISJs to say that they “merely want the facts.” Of course, it may happen that an ISJ says that he or she simply wants “the facts and nothing but the facts,” but strictly speaking, this tells us little about their type. And at any rate, what ISTJs tend to say the most in our experience is not that they simply want the facts, but rather that they want a proper and careful estimation of the facts – for every fact to be “fully and fairly sifted” as the Duke of Wellington said. And that, as we shall see, is incidentally just what Wilson wants as well. In other words, Wilson’s reasoning is not such that he simply “appeals to fantasy” (and that we as typologists might take this as some meager indication of N over S). Rather, Wilson’s rationale is that though it might be preferable to tell the facts without all the artful weaving of style and narrative, men would refuse to be made any wiser by it. They want art, not industry. The public at large would remain unmoved by the scholar’s more factual approach. The implication is therefore that this approach would actually be preferable – that one actually should tell “simply the facts” – if it were not for the “mass of men” who are unmoved by such a rigid approach. Certainly, Wilson’s reluctance to merely engage in a licentious handling of the facts as a matter of course, and his insistence on furnishing excuses for doing so at length, are not the habitual modus operandi of the Ni type. In Shapiro’s piece, he proposes to explain this anomaly by reference to the Compulsive personality style. 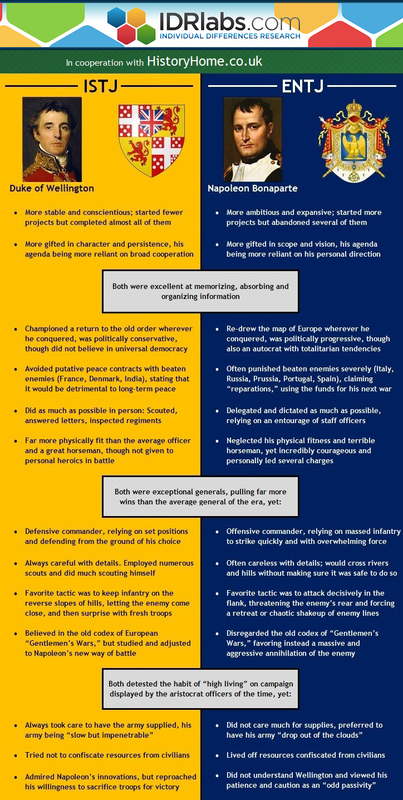 For our part, we agree that Wilson had Compulsive traits, but as we write on the main page, some Compulsive elements seem to occur as a natural adaptation in many ISTJs. Hence, unless we encounter strong and direct indications of Ni that trump those of Si, there is no need to look closer at Wilson’s Compulsion. So let us look closer at Wilson’s alleged Ni. The Ni type’s train of thought operates by unconscious amplification and association, not by systematic elucidation (as with the T type) or by elaborating on the meanings found in singular objects and instances (as with the S type). The factor of amplification by association is much more forceful in Ni types, whereas Si types prefer to stay with the one task at hand. As Jung also says, “the Sensation type remains with things” (Tavistock Lecture I §33). This “thing” may be big or small, abstract or concrete, long- or short-term, present- or future-oriented, but the common denominator is that the psyche of the Si type stays in harness throughout the task set before it, whereas the Ni type leaps between objects and tasks by way of association and amplification of the individual objects to fit an overall process of association, rather than staying with the individual object in itself. The Si type may also operate by amplification, but it is usually by way of the concentration and patient focus on the amplification of one object that the Si type reveals himself. So let us see how these schemata fit Wilson. Wilson presents us with a style of amplification which would suggest an S or N function rather than a T or F function. However, Wilson’s intellect has no trouble remaining in harness. Like Freud, who wrote an entire essay on the meaning of Michelangelo’s Moses, studying only the statue itself, in this essay Wilson amplifies the one task that he has set before himself: To explain why the “facts only” approach to history will not suffice. As we mentioned earlier, it is important to understand Wilson on his own terms and not on the basis of the typical meanings of the words he uses, as they are used within the system of Jungian typology. So while the term “meanings beyond facts” may loosely be taken to suggest N over S in itself, the types of meanings that Wilson alludes to when he talks about “meanings beyond facts” are not the same “meanings” or “facts” as these words are usually understood in many versions of Jungian typology. When Wilson talks about doing justice to the “meanings beyond facts,” he quite evidently means that the “facts only” approach to history will fail to do justice to the sense impressions involved. This is exactly what we should expect to find in the Si type, for whom it is the inner sensations caused by sense impressions that are the predominant factor in cognitive orientation. Again, while the words used by Wilson are the same as the words that might be found in various MBTI training materials, each party understands something different by “meanings” and “facts” than does the other. The words are the same, but the connotations that Wilson and Myers-Briggs understand by them are not. Earlier in this essay, we mentioned that as a matter of observation, ISTJs do not typically demand “simply the facts and nothing but the facts.” Rather, the (stereo)typical demand of the ISTJ is that the facts are fully and fairly sifted in order to produce a prudent and sensible estimation of them. Wilson says: “The fuller and more minute you make your inventory, the more will the truth be obscured.” Therefore, to avoid this predicament, a sensible estimation of facts must be undertaken, and in Wilson’s view it is this weighing of the facts that constitutes the “meaning” and “abstract vision” that lies “beyond the facts.” As Wilson says over and over again in the essay, the reader must be brought to “see history aright” – as it really were – and the historian who distorts the events according to his personal dispositions “gets himself enrolled among a very undesirable class of persons.” Indeed, as Wilson writes, the historian falls into error when history “is not told for its own sake [but is] evidence summed up in order to justify a judgment,” whereas by contrast it might be mentioned that the entire historical production of Hegel, Nietzsche, or Marx was nothing but an analysis undertaken for the sake of justifying a judgment. The historian must seek to render past events in as ordinary a light as possible – we should be able to recognize the ordinary world, “our world,” and not some high literary drama. The historian should not dramatize (i.e. amplify) events. He should not function by “amazing flashes of insight,” but adopt a more steady and even-handed approach that allows him to perceive the mundane with the same fidelity that he perceives the extraordinary. By now, the gist of our argument is in place. Readers who want additional quotes from On the Writing of History that support the same reading given here may consult the appendix given below. Or better yet, they may familiarize themselves with the essay in its entirety and get a feel for its ambience themselves. Wilson is the subject of an undependable historiography. It is better to rely on his own words than on what various writers think. Both Ni and Si types may operate by amplifying the phenomena under their scrutiny. But Ni types tend to leap from thing to thing and Si types stay with one thing at a time. Wilson amplifies considerably, repeatedly, and at length, yet always stays with the task at hand. To Si types, events tend to hold merit of their own accord, whereas to Ni types, events more often serve to function as the proof of an idea. Wilson tells us directly that history produced with the aim of illustrating something other than the events themselves should be rejected and discredited. “Why does the right hate Wilson? [And] why do presidential historians seem to like him so much?” – Radley Balko: What’s Wrong With Woodrow Wilson? There are reasons for doubting that Wilson actually would have preferred such a ‘mechanical,’ Te-style type of history: During his own time at Princeton University he faced a major crisis because most of his fellow scholars there engaged in exactly this type of “fact only” approach to history and it did not suit his intellectual temper. One the one hand, this falling out with his professors and fellow students because he wanted something more “imaginative,” seemingly of his own accord, might be taken as some slight evidence of Ni over Si. But on the other hand, as Wilson’s own essay makes clear, the rigorous “facts only” approach to history was the intellectual vogue in Wilson’s time and it is unlikely that his professors and fellow students, who engaged in and enjoyed this type of history, were all Si types. In other words, engaging in this type of history, or rebelling against it, need not constitute strong evidence with regards to the individual type. In such cases, we would be inclined to look for other types of evidence. It’s odd how people complain that we revise our assessments, since practically every serious theorist in the field tends to do so. Much worse, in our opinion, are the theorists who put assessments out there and refuse to revise them, almost ending up defending them against their own better judgment. Also, revisions are how much science and scholarship tends to work. The authors on the site just write about whatever they think is interesting, so to the extent that the site seems to over-focus on INJs/INTJs, that is probably a compliment. Individ13419 was not complaining. He pointed out a fact, made a joke, and then asked a question. Not really a fair comparison. Ruins are constantly being excavated, new data constantly comes into play, etc. While Wilson has been dead these past eight decades. Everything he has ever said or wrote remains. Well, maybe Individualist13419 wasn’t complaining, but people certainly do. Just because all the data is available, it does not mean theories do not evolve as new arguments arise and hypotheses are battered and tested. This is largely how scholarship in the humanities works, for example. Or how Popper conceived of science. Have you guys ever considered something that lets people know who is coming next? Or do you all prefer surprising people? Will we finally see Beethoven, by any chance? While the admins do their work, why don’t we discuss what we think of these classical composers, authors and philosophers? Beethoven is usually seen as an INTJ but I have yet to see a good argument in this regard. I’m fairly convinced Beethoven was an INTJ, albeit one with strong tertiary fi. Second guess would be INFP, or at a real stretch ENFP. If that isn’t inferior te, I don’t know what is. There are a lot of authors named King. I’m assuming Guy means Stephen King. INTP, maybe? I’ve never read Pynchon’s work, but based on what I’ve read about him I would guess INFP as well. He seems to have avoidant traits. Dickens was fe, I’m pretty sure. ENTP would be my best guess, but it’s tentative. I confess I don’t much care for his work. Mozart: ISFP is the default typing. I’m inclined to think of Mozart as having ti, actually (ESTP? ENTP? INTP?). The music just sort of spewed out of his head fully formed, whereas Beethoven would get a rough score down and then constantly revise it. I’ve always thought of that as an archetypal example of ti vs. te. I agree it’s fun speculating (and I think all intuitives are bound to do it to some degree), but listing some reasons why Beethoven has Fe, Ti, Ne, Si, or is XXXX etc. isn’t going to cut it. I believe a psyche type is falsifiable and verifiable but arguments like “only an Si dominant could develop the sophisticated internal system of music it takes to make music when you’re deaf”, simply isn’t good enough. I say, let’s stop guessing and leave it to the professionals. They should know Ti, Fe, Ne, etc. when they see it. Lewis Carroll: I think ISTJ is probably much closer to the mark than ENFP. The guy was (almost?) OCD in his habits, recorded his life in great painstaking detail in his diaries, and didn’t seem to go out of his way to try new things. These things would make him a very strange Ne-dom. I find it interesting to see both Tolstoy and Dostoevsky typed as INFJs when they drive polarised opinions and are contrasted in the literary world. I see Fe and Ne in the above quotes. Whether Lewis was an introvert or an extrovert is beyond me. For me, the key to being productive is being crtvaiee. That’s how I am too. If I don’t write music, a blog post, or paint a picture I feel like I wasted my day. I also feel productive when I am able to check off things not from my to-do list, but from my calendar.For example, I put due dates, bills, and meetings on my calendar. Even though paying off a bill is sort of a given, it feels so darn good to be able to actually switch it from DUE to DONE. Sort of what they say about paying off credit card debt sometimes its better, emotionally, to pay off the little ones first so you feel like you are accomplishing something. Regarding Beethoven, a lot of eyewitness accounts seem to make him out to be INTJ–introverted, opinionated, strong-willed, dominating (look how he treated his nephew) and, like Nietzsche, “ungrateful in order to be free” towards his teachers (he always insisted he “had learned nothing” from Haydn). Also, there are hints towards inferior Se, such as his famous disorderliness and messiness or Anton Schindler’s account of him composing his Missa Solemnis: “From behind the closed door of one of the parlors we could hear the master working on the fugue of the Credo, singing, yelling, stomping his feet. … The door opened and Beethoven stood before us, his features distorted to the point of inspiring terror.”–which sounds like the crap a Ni type would have to go through to make his vision into reality. 1) As with Wilson, the hagiographical nature of the early biographies of Beethoven; Schindler destroyed many of the notebooks. 2) His deafness, which may make him look like an inferior sensing type. 3) The fact that he was a piano virtuoso and an extremely skilled improviser, unlike R. Waters– is that unlikely for an IN-J type?